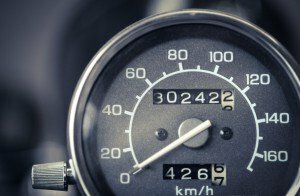 The Slow Down on Speed Limiters - American Truck & Rail Audits, Inc.
Last year during a Senate Appropriations transportation subcommittee hearing, Transportation Secretary Anthony Foxx stated a rule proposal requiring that heavy duty trucks be equipped with speed limiters would be forthcoming in Fall of 2015. Given recent concern about the delay in this rulemaking, Secretary Foxx has now stated that the rule proposal is scheduled to be completed NLT April 22. This proposed rule is the result of a collaborative effort between the DOT’s National Highway Traffic Safety Administration (NHTSA) and Federal Motor Carrier Safety Administration (FMCSA). Its purpose is to limit the speed of heavy duty trucks in hopes of reducing highway fatalities. According to the DOT, this rule would require speed limiting equipment to be installed on all trucks weighing over 27,000 pounds. The proposal has been stalled as the NHTSA and FMCSA have been working on aspects of the rule with the White House’s Office of Management and Budget (OMB) since May of last year. Once the rule is approved by the OMB, it will be published in the Federal Register and will be open for public comment for 60 days. After that, the two DOT agencies that created the rule will draft a Final Rule which will go through the same review process without a public comment period. This rule would more than likely go into effect in two years. Given the positive safety implications, many are hoping for rule publication in the very near future.